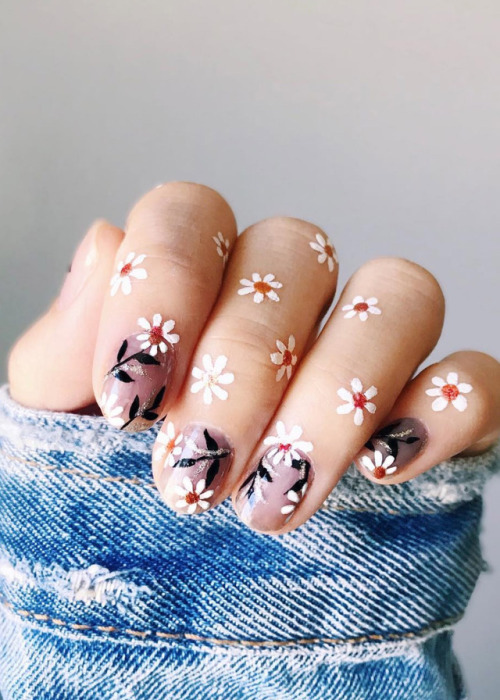 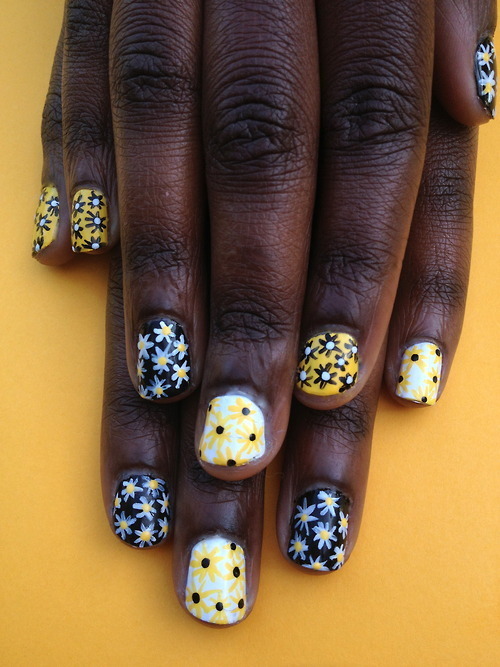 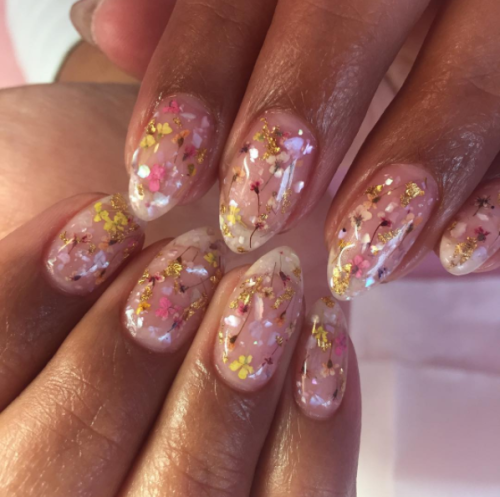 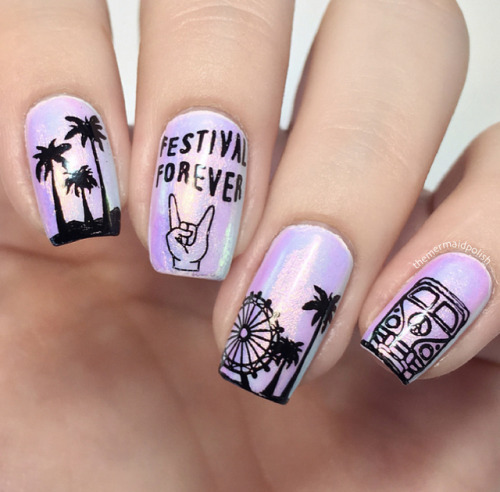 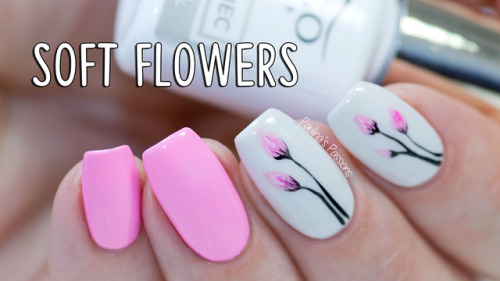 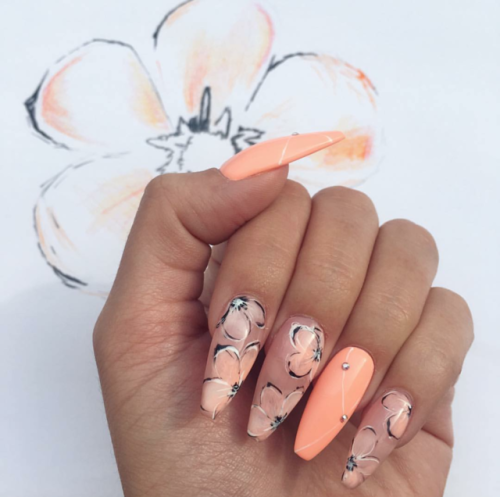 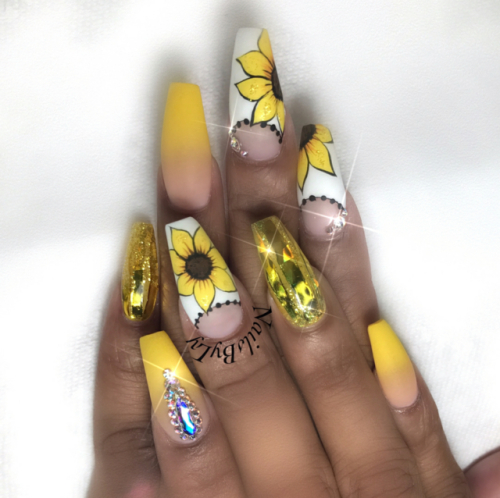 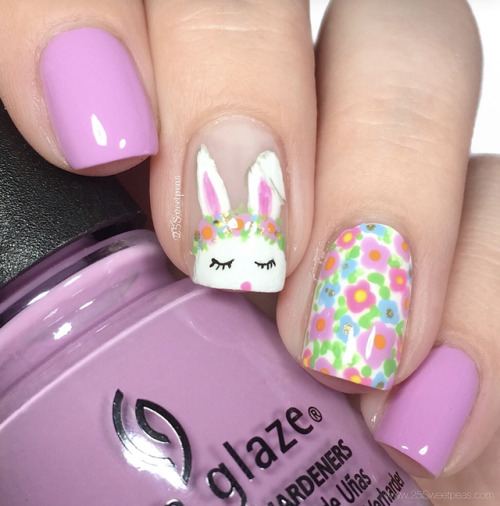 17 flowery nail art ideas ranging from full-on bouquets to simple and edgy. 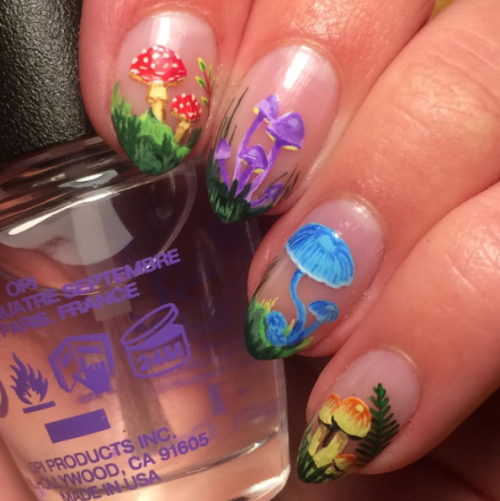 It’s been a while– I was traveling, but I’m back home with all my paints again. 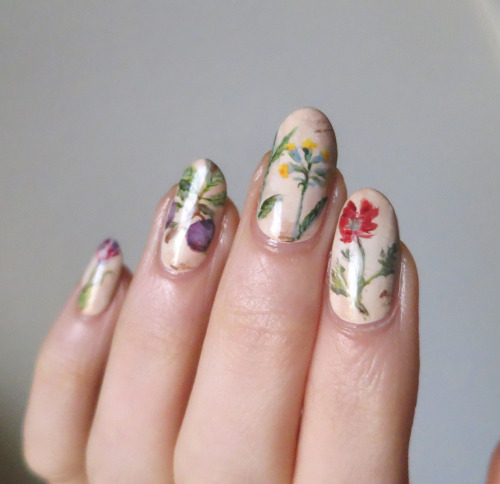 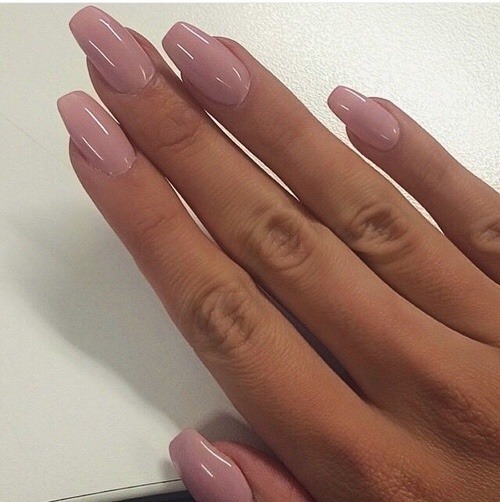 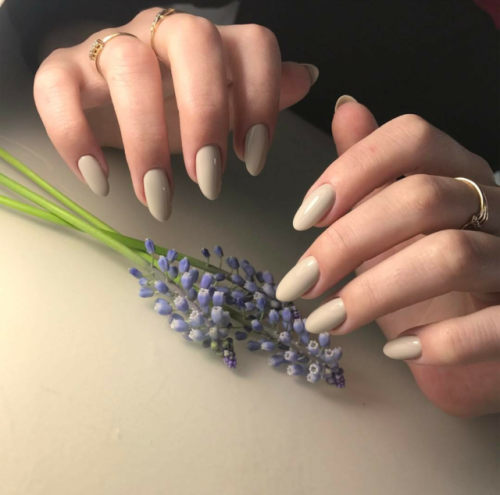 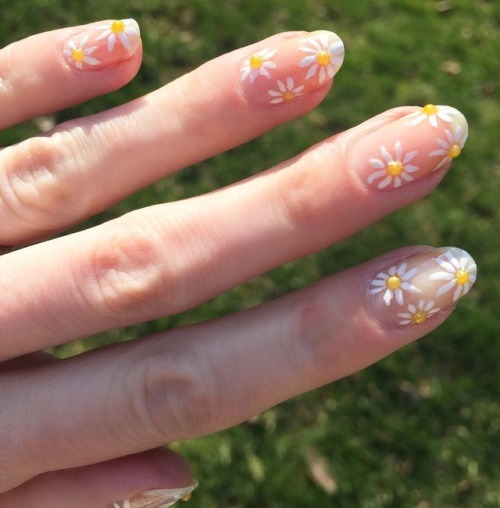 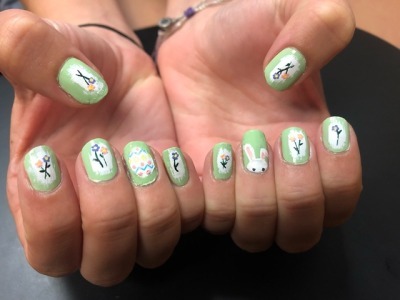 Here are some old-fashioned botanical nails for spring. 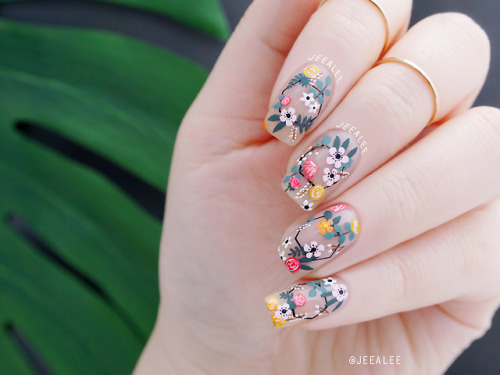 Part of my Geometric Floral Series!